A successful, charismatic four-star general, Glenn McMahon, leaps in like a rock star to command NATO forces in Afghanistan, only to be taken down by a journalist's no-holds-barred exposé. Brad Pitt is just incredible! I mean it is just amazing how he manages to become his role so entirely! Despite being a very recognizable face, there was not a moment in this movie where I thought of him as anyone else than general Glen MacMahon. Absolutely amazing! I only read the very short summary that my current streaming provider has set out, and I thought this would be a comedy, but it is actually a drama all the way through. Entertaining, yet dead serious. And the story is really good, but as it is based on actual facts, it is also quite sad. 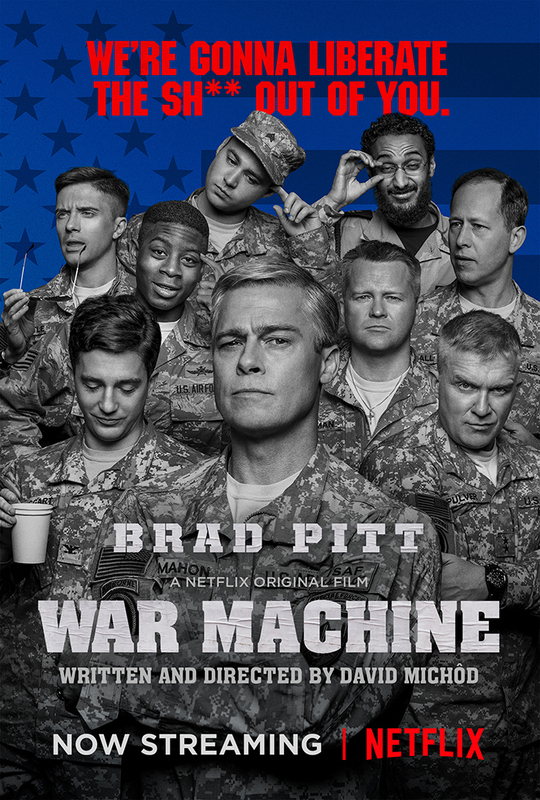 This movie is absolutely recommendable to anyone who is a fan of Brad Pitt or anyone with an interest in warfare, politics and why the western world insist on bringing peace by invading middle eastern countries.